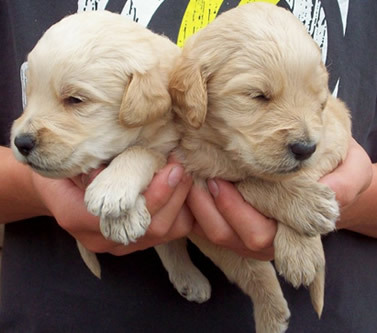 Standard Labradoodle puppies from experienced, 5 * licensed breeders. Mum is a super friendly F1 Labradoodle. Dad is a multi generation Standard size Labradoodle. All puppies are genetically clear of, and will not develop, PRA. Bred for health and temperament, and reared with the benefit of over thirty years’ experience, these are outstanding puppies. Puppies will be low to non-shedding. They are wormed and de-flead regularly. They will have a rigorous vet check and first vaccination before leaving for new homes. Ongoing advice and support for as long as required. 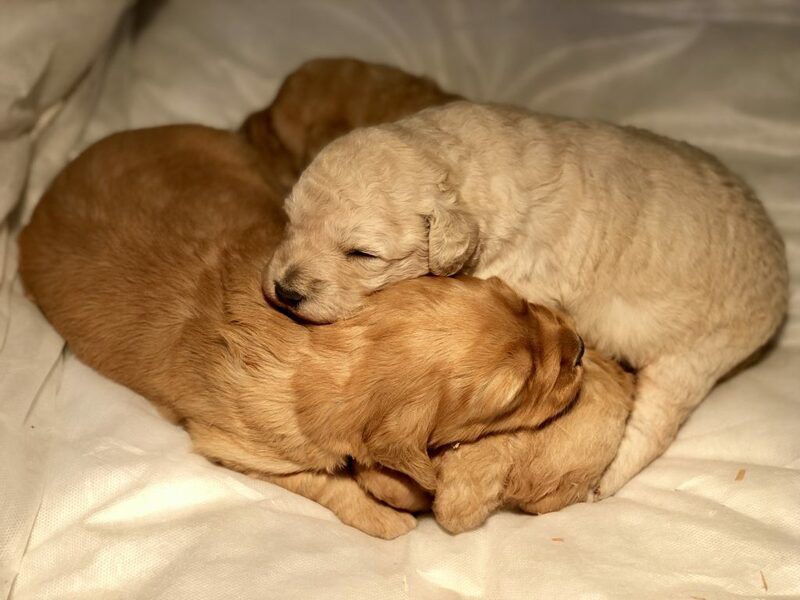 We also offer, to give peace of mind, a seven day guarantee which allows time for an examination by your own vet and if they are not completely happy with your new puppy within that time we offer a no quibble return and full refund. Viewing, with parents, is most welcome from Sunday 31st March and deposit secures. Ready for new homes from 4th May onwards, females only available. 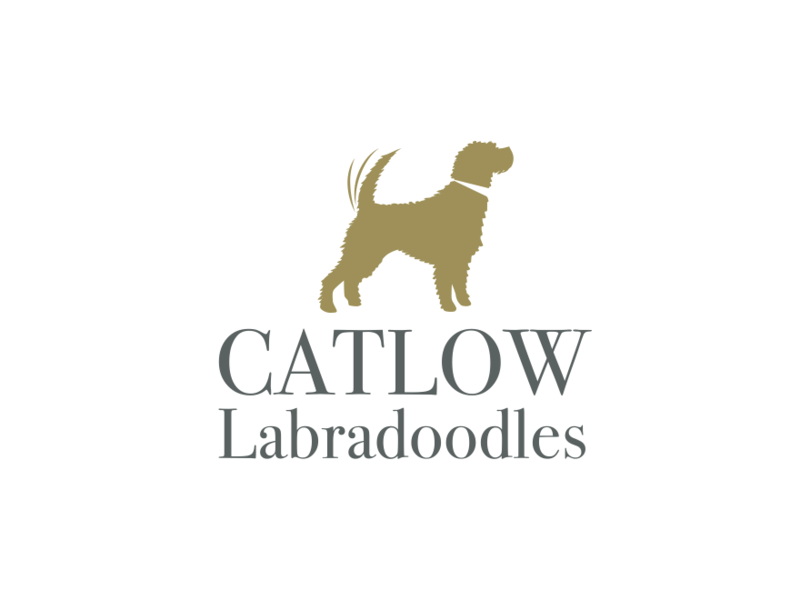 © Catlow Labradoodles. All Rights Reserved.